I had the gift of two unusual blessings last week. The first was a moment to greet Pope Francis in Rome after his Wednesday, September 18, general audience. We had met and served as delegates to the 1997 Special Assembly for America. Sixteen years have passed, but this Pope has a remarkable memory to match his generous spirit. He recalled a friendly conversation we’d had in great detail, and the events of those days that helped shape both of us as young bishops. The second blessing was being away from the United States on September 19 when Jesuit magazines around the world released the Pope’s remarks to Father Antonio Spadaro, S.J. Thanks to my schedule, I couldn’t read the full interview until I was on the plane home, four days after it appeared. But the emails I received about it – some of them happy; some of them angry; some of them gloating; some of them from Catholics feeling confused or even betrayed – were instructive. More common though were emails from catechists, parents and everyday Catholics who felt confused by media headlines suggesting that the Church had somehow changed her teaching on a variety of moral issues. We can draw some useful lessons from these reactions. First, we need to be very careful in taking mass media coverage of the Catholic Church at face value. Second, we need to actually read the Holy Father’s interview for ourselves, and pray over it, and then read it again, especially in light of the Year of Faith. A priest here in Philadelphia asked for a show of hands at a Mass last Sunday, and nearly everyone in the church, which was full, had heard about the Pope’s interview. But only five persons had actually read it. Third and finally, we need to open our hearts — all of us — and let God lead us where he needs us to go through the words of the Holy Father. Pope Francis does not at all turn away from Catholic teaching on matters such as sexuality and the sanctity of human life. How could he? We should remember that Mother Teresa and Dorothy Day – two women with an intimate, passionate devotion to the poor – also saw abortion as a brutal crime against the poorest and most defenseless of the poor: the unborn child. Among the many vital things the Pope reminds us of in his interview is the new and drastically different condition of the modern world that God seeks to save. It’s one thing to argue about abortion and sexuality when both disputants in the debate share the same basic moral framework and language; the same meaning to words like “justice;” the same set of beliefs about the nature of the human person. But it’s quite another thing when we no longer have that common vocabulary. The modern world is mission territory. It’s morally fractured. Our politics, as Alasdair MacIntyre once famously wrote, is civil war pursued by other means. The modern heart can only be won back by a radical witness of Christian discipleship – a renewed kind of shared community life obedient to God’s Commandments, but also on fire with the Beatitudes lived more personally and joyfully by all of us. The Holy Father asks none of us to abandon the task of bringing the world to Jesus Christ. Our witness matters. Every unborn child saved, every marriage strengthened, every immigrant helped, every poor person served, matters. God calls on us to help him sanctify every aspect of our shared lives – at home, at work and in the public square. But if, as the Pope describes her, the Church is a “field hospital” for the wounded in a cruel world, then the goal of our witness is to create a space of beauty and mercy; to accompany those who suffer; to understand the nature of their lives; to care for and heal even those who reject us. We need to speak the truth, and work for the truth, with love. And we need to realize that nothing we do – either as individuals or parish communities — will bear fruit unless we give ourselves to the whole Gospel with our whole heart. Religious bigotry is not the answer. Pope Francis is asking Catholics to open our hearts. Stop the sins of judgement and condemnation. I’m confused why a mother working with disabled children would feel the Pope has turned his back on her. His message is full of love not hate. I feel hate has entered many modern Catholics teachings. It is our duty to study science and psychology. Not turn a blind eye because the teachings of the Catholic Church have been a certain way therefore we must stay in the dark. Fear should not be the foundation of modern Catholicism. Pray for Peace. I agree one hundred percent in all that has been said in above article and posts. There is one simple solution and it is this: Pope Francis said that he loved the charismatics, so do I. I have been to their prayer groups at time and think that many can receive great prayer there. He likes the eastern rites and says that their traditions are lovely and that they should keep them. He has participated in eastern liturgies himself. I agree. I attended the eastern rite myself and indeed, they have wonderful traditions. However, I think that all liturgies previously approved in the church should be preserved to enhance the church and to enrich each other. I love the fssp approach and I would love to hear Pope Francis say to those of us who attend the estraordinary form of the Mass, “I love you, too.” That is all I ask to hear. The Pope is a highly educated, experienced pastor and theologian who was selected by his peers, with the aid of the spirit of God, to lead His sons’ church on earth. I’m shocked at all the writers above who offer their opinion that Francis doesn’t know what he’s saying, suffers from foot in mouth disease, is naïve, undisciplined, and on, and on, and on. Yep, there’s a problem in the Church. And it’s not the media. Pope Francis knows it. 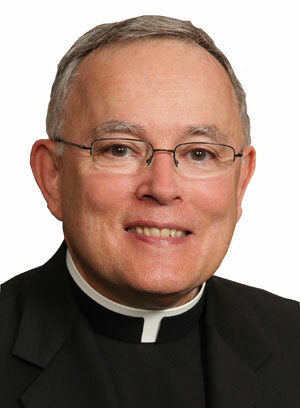 And I suspect Chaput knows it also – he’s more disciplined.